Our law firm handles only serious injury accident cases. A significant portion of our case load is back injury claims involving spinal cord and disc injuries. If you would like to discuss your case with an attorney, call 800-553-8082 or get a free online case consultation. This page takes a look at the specifics of what the medical literature shows with respect to the type of back injuries that occur in car, motorcycle, and truck accidents. Our lawyers also provide on this website more general information on back injuries and their settlement value. In the United States, motor vehicle accidents are the leading cause of death in people between the ages of 3 and 33. back lawyer Maryland With rollover crashes having the highest mortality rate compared to any other crash type. Rollovers account for only an estimated 4.1% car and truck accidents but account for a third of all fatal accidents. Motor vehicle crashes are the leading cause of spinal cord injuries, accounting for an astounding 45% of all cases in the United States. Statistics like this can sound dry on your computer screen. So think about it for a second: 45% of spinal injuries come from car, truck and motorcycle accidents. Approximately 82% of people suffering a spinal cord injury in a motor vehicle accident in the USA are occupants of light passenger vehicles. Rollover accidents are still a concern: Spinal cord injuries occur most commonly in vehicle rollovers, with 85% being single-vehicle rollovers. Damage to the spinal cord resulting in a loss of function such as feeling or mobility is a spinal cord injury. It is different from other back injuries such as pinched nerves, ruptured disks, or spinal stenosis. The spinal cord does not need to be severed to cause spinal cord injury. In most cases, the spinal cord is intact but peripheral damage causes pain and loss of function. The spinal cord extends from the base of the brain to the waist and is approximately 18 inches long. The spinal cord is a bundle of nerves and with the brain makes up the central nervous system. A ring of bones called vertebra protect the spinal cord. There are five major divisions of the spinal column, in descending order they are the cervical vertebrae, thoracic vertebrae, lumbar vertebrae, sacrum and the coccygeal vertebrae. The higher in the vertebral column the injury occurs, the greater the dysfunction a patient will suffer. The direction of crashes, speed, and energy dissipation are important factors in spinal cord injuries in motor vehicle crashes. A study published in The Journal of TRAUMA® Injury, Infection and Critical Care attempted to disseminate these factors and their relationships to spine and spinal cord injuries. The study reviewed 1152 vehicle occupants that included adult drivers and front-seat passengers injured in either frontal or side crashes. Of the 1152 occupants studied, 214 suffered one or more spine fracture injuries of which 55 also had a spinal cord injury. This study found that the predominant age range for the greatest number of spine fractures was 15 to 45 years (110 cases). Approximately 65% of the 214 patients with spinal fractures involved in frontal crashes compared to 35% involved in lateral crashes. The incidence of spinal cord injury was similar between frontal and side crashes (26% and 23%, respectively). Further, it was also noted that incidence between driver's side and passenger side lateral crashes was similar (23% and 27%, respectively). 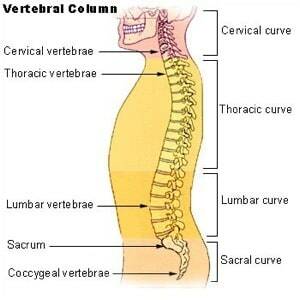 The spinal fractures most commonly involved the cerebral vertebrae (61.7%) followed by the thoracic vertebrae (26.2%) and lumbar vertebrae (25.7%). These values exceed 100% as 12.6% of patients suffered spinal fractures to more than one anatomic region. These are the types of cases that often reach a settlement before a lawsuit is ever filed, far more so than herniated disc or whiplash injury cases. Spinal fractures of the cerebral vertebrae accounted for 80% of the spinal cord injuries followed by 18% due to thoracic vertebrae and 2% due to lumbar vertebrae. The most common causes of frontal motor vehicle crash cervical spine fractures were related to head contact with the steering wheel or its hub, deployment of the airbag resulting in the cover being driven into the face/jaw, and contact with the central or right instrument panel (passenger). In some cases, the intrusion of the pillar separating the front window from the side door contacting the head was responsible for spinal fracture. For side crashes, spine fractures were most commonly caused by head contact with the other vehicle's intruding hood, contact with the window frame, pillar or direct contact with a fixed object (e.g. a tree or telephone pole). Studies have demonstrated links between spinal cord injuries, spine injuries and traumatic brain injury. In a prospective study on 180 patients admitted to hospitals with brain trauma, 31.1% were pedestrians struck by vehicles and 27.7% were car crashes. 7.8% of patients admitted suffered a spinal cord injury (twelve injuries were in the cervical spine, one in lumbar and one in the thoracic spine). Patients with upper cervical injury are at risk of skull base fractures and intracranial hematomas. One research group reviewed patient data and reported on injuries associated with specific spinal fractures sustained in motor vehicle crashes. These researchers found that cervical spine fracture and thoracic spine fracture were both associated with a high rate of brain trauma with an incidence rate of 49% and 39%, respectively. Thoracic injuries (71% vs. 43%), lower extremity fractures (52% vs. 33%) and pelvic fractures (48% vs. 27%) are more commonly associated with thoracic spine fractures than cervical spine fractures. Though mortality was found to be similar between patients with cervical spine fractures and thoracic spine fractures, the cause of death was different. Mortality in patients with cervical spine fractures was most often due to spinal cord injury followed by brain injury whereas mortality in patients with thoracic spine fracture was most commonly due to injury to the thorax, lower extremity injuries and pelvic fractures followed by brain damage, and heart in order of prevalence. Lumbar fractures are associated with a similar prevalence of lower extremity injury and pelvic injury as thoracic fractures. However, it is noteworthy that lumbar fractures were associated with the utilization of seat belts. Previously, spinal cord injury and spinal fracture had been shown to increase with increasing crash severity especially in the cases of injury to cervical and thoracic regions. In a recent article published in November 2011, a rigorous statistical analysis was conducted using the US National Automotive Sampling System Crashworthiness Data System (NASS) which is a crash sample containing crash details and medical details. The data analyzed represents the years 1993 through 2007. This analysis demonstrated that risk of spinal injury was highest in single-vehicle crashes into fixed objects compared to car-to-car crashes. The study also confirmed that risk of moderate to severe spinal injury was associated with greater severity of accidents. A study compared light passenger type vehicles such as sedans, passenger vans, station wagons, four-wheel drive utility vehicles, etc., in which occupants received spinal cord injuries with motor vehicle crashes of light passenger type vehicles in which occupants sustained other serious injuries. The study reviewed 52,807 crashes that resulted in a total of 161 spinal cord injuries and 65,868 other severe injuries that occurred over a 15 year period. The results of this study showed that spinal cord injuries were found to be most prevalent in single-vehicle crashes. This study was the first to show that risk of spinal cord injuries was five times higher with sport utility vehicles as compared to sedans. SUVs were found to have a higher incidence of spinal cord injuries when involved in rollovers as well as even when not involved in rollovers. In a study with test dummies, lap and shoulder seat belts in SUVs consistently allowed head contact with the roof of the vehicles, which resulted in neck compression and flexion loads in the test dummies indicating spinal column injury. Unbelted occupants are at highest risk of spinal cord injury in rollover crashes with roof intrusions greater than 3-8cm as compared to their belted counterparts. A 10-year population study on spinal cord injuries and trauma sustained in road accidents reviewed 97,341 patients. The study found that men were more likely than women to suffer a spinal cord injury and also showed that those dying as a result of a spinal cord injury die either at the scene or shortly after the crash. This study found that risk factors for serious injury included motorcyclists, non-restrained occupants of vehicles, males and young age. The finding that males are at higher risk than females was seen in previous studies by other researchers in Australia and the US. The role of age in risk of spinal injury due to motor vehicle crashes is controversial with some researchers finding that children under the age of 12 are at highest risk and others finding that the elderly are at higher risk. These findings may be due to contributing factors such as the type of crash (i.e. frontal, side, rollover, etc. ), underlying medical conditions (i.e. ossification of the longitudinal ligaments of the spine), improper restraint with a seatbelt, and/or other factors. In 2013, the National Highway Traffic Safety Administration (NHTSA) reported the lowest deaths in vehicle crashes since 1994. Several factors are attributed to this lower death rate, including changes in road and car design as well as changes in occupant behavior. The evolution of airbags and deployment mechanisms has led to a reduction in spinal cord injuries. Between 1989 and 1993, when airbags were not standard equipment in vehicles, 61% of spinal fracture patients suffered spinal cord injury. Between 1994 and 1998, when airbags were required in vehicles, this figure dropped to 54% and between 1999 and 2003, with the utilization of depowered airbags, spinal cord injury dropped to 49%, suggesting a trend in improvements due to airbag technology evolution. Airbags clearly do not stop every injury and often cause injuries that never would have occurred. But airbags do seem to be a big help in keeping a tighter lid on the number of spinal injury cases. It was recently estimated that if maximum roof intrusion in rollover crashes could be reduced to a maximum of 8-15cm, this would prevent an estimated 134 cases of spinal cord injury and result in a direct cost savings of $97 million annually for spinal cord injury treatment in the US. Further, where roof intrusion was greater than 30 cm, the risk of death was 64% within the first 30 days following the injury, 90% of which occurred at the scene. When intrusion was 15-30cm, the rate of mortality was reduced to 35%. Thus, the strength, design, and prevention of roof intrusion is a factor that warrants further research by automobile manufacturers. Strides have been made in the United States over the past several years. However, other developed countries have seen greater reductions in mortality in the past 15 years, attributed not only to crashworthiness improvement but also to road safety policies. Though crashworthiness improvement in vehicle design is continually necessary, more emphasis needs to be placed on road safety in order for the US to catch up to other developed countries to prevent spinal injuries from car and truck accidents. Our advocates fight to get our clients who have suffered severe back injuries the value they deserve: either by settlement or, if necessary, at trial. 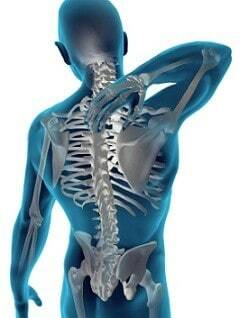 We are based in Maryland but we handle serious back injury - usually spinal cord injury - claims throughout the country. Call us to discuss your case at 800-553-8082 or get a free online consultation.